You’re going to want to jump into this case when you come to this shop! 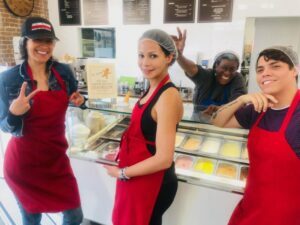 You’re in for a treat on #LunchBreakLIVE today with Divine Dips Ice Crème, artisan curated, non-dairy, gluten free, absolutely delicious ice cream for all in the heart of Los Angeles, California in downtown! 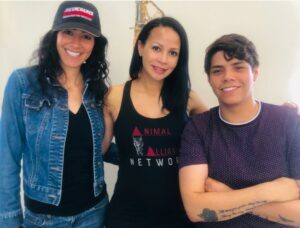 Come behind the scenes in this heavenly spot with taste testers Ellen Andrea Dent, with Animal Alliance Network, the actor/social media influencer Kenziah Rubens and Patrizia Mari Barretto, media producer and co-founder of the Vegan Flag Ambassador. Delicious work pays off when you’re paid in tastes of this amazing ice crème! In the 90’s Diane owned a bakery called Cake Works where she designed desserts. In 2006, Diane realized she was lactose intolerant, and she also had a gluten intolerance. For these reasons she began designing desserts that were dairy-free and gluten-free. 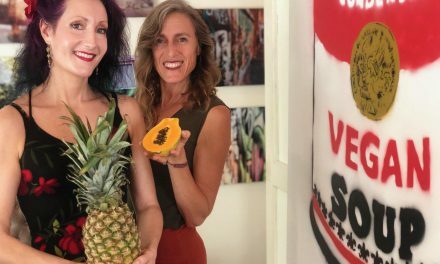 She also became aware of vegan philosophy, and she wanted to try to apply it to her dessert development. 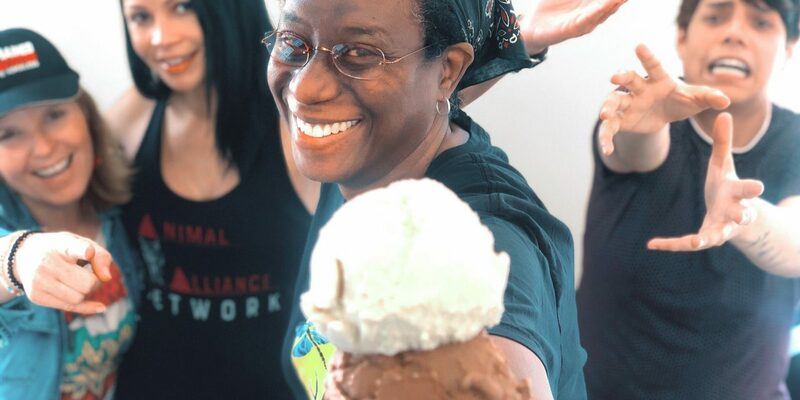 Diane developed Divine Dips in 2009, because she didn’t think there was a superb vegan ice cream. She has been selling her ice cream in specialty shops since 2011, and she has been operating an ice cream truck since 2014. 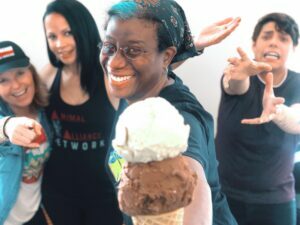 Now in 2018 she has a brick and mortar vegan ice cream shop. Diane is truly the exemplification of utilizing compassion and hard work to develop an top notch product and business. Yes Diane! We’ll take 3! Today, the JaneUnchained crew is helping Diane make the Thai Tea ice cream. Diane uses a special blend of coconut, cashews, and almonds to make a vegan ice crème that is truly divine. 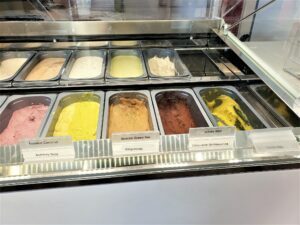 The ice cream looks so good in the case, the taste testers had to try almost every flavor! We challenge anyone to come try this ice cream and tell us it’s not absolutely beyond belief delicious. Your mouth won’t believe your taste buds it’s so good! The very best part is that this ice-cream is organic, all natural, and cruelty-free, so you can eat it without contributing to the suffering of our fellow animal friends. This ice cream is a must try. 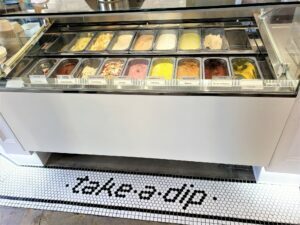 Please come get your sweets fix at Divine Dips Ice Crème the next time you’re near Downtown Los Angeles! Patrizia, Ellen, and Kenziah were todays eager taste testers! Paige Parsons Roache reports for JaneUnChained.com. Photos courtesy of Paige Parsons Roache, Kenziah Rubens, and Patrizia Mari Barretto. Get up close with these mouthwatering flavors! 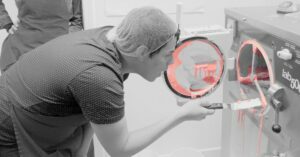 Kenziah scrapes the machine clean after the Thai ice cream is made! Yum! PreviousSecond Round of Protests Erupt against CBS Super Bowl Big Boi Fur Fiasco! NextKitchen Mouse! Don’t Call the Exterminator! Spa Time in the Kitchen with Smoothie Facials! 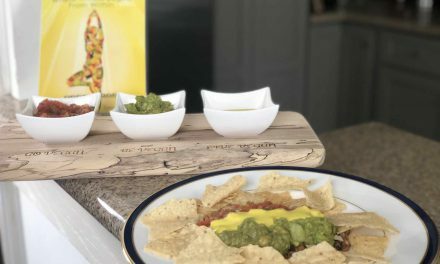 These Raw Nachos Will Have You Salsa Dancing as Permanent Weight Loss Secret is Revealed! 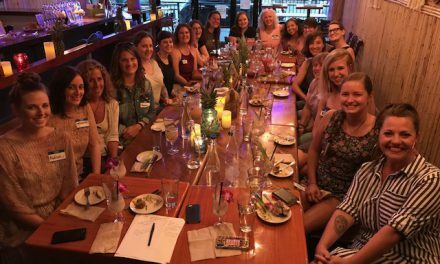 Vegan Ladyboss launches Seattle Chapter With Fun And Flair! 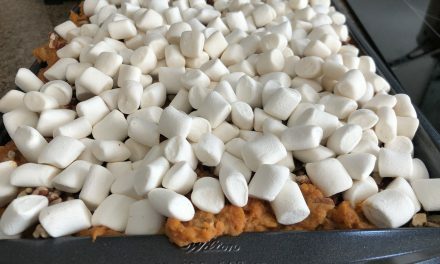 An Avalanche of Marshmallows for the Holidays!